Named one of 15 Faith Leaders to Watch by the Center for American Progress, Rev. Jennifer Bailey is an ordained minister, public theologian, and emerging national leader in multi-faith movement for justice. She is the Founding Executive Director of the Faith Matters Network, a new interfaith community equipping faith leaders to challenge structural inequality in their communities. Jennifer comes to this work with nearly a decade of experience at nonprofits combatting intergenerational poverty. 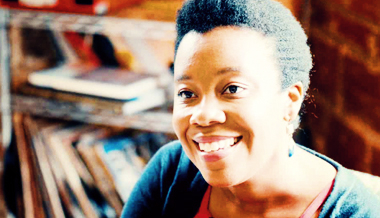 An Ashoka Fellow, Nathan Cummings Foundation Fellow, and Truman Scholar, Jennifer earned degrees from Tufts University and Vanderbilt University Divinity School where she was awarded the Wilbur F. Tillett Prize for accomplishments in the study of theology. She writes regularly for a number of publications including Sojourners and the Huffington Post. Her first book, tentatively titled Confessions of a #Millennial #Minister is currently under contract with Chalice Press. Rev. Bailey is an ordained itinerant elder in the African Methodist Episcopal Church. White supremacy is a theology that kills.